It turns out Amazon may not have put in a full bid for the whole RSN package after all, and other bidders were reportedly confused about what MLB digital rights were included. 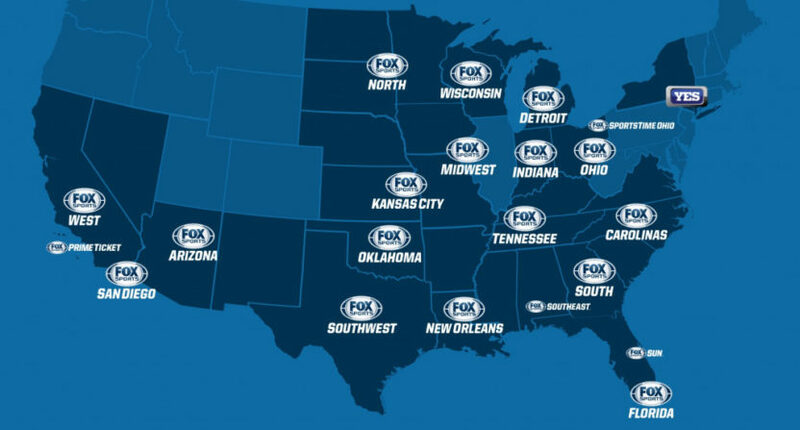 Against all odds, the auction for the 22 Fox regional sports networks has managed to become even dumber. Information on this sale (by Disney, of assets they acquired from Fox but have to divest thanks to a deal with the Justice Department to let the rest of their purchase of Fox assets go through) has only come out in dribs and drabs, from huge numbers of players reportedly interested (including Ice Cube and LL Cool J, for some reason) to only a few actually making bids to companies like Fox and MLB talking about maybe getting involved later. People directly involved in the process say Amazon did not place a formal, first round bid for all the RSNs but may ultimately do so while it negotiates for a stake in the Yankees Entertainment Network (YES), another of the properties involved in the auction. …The Yankees alerted Disney and its bankers that it plans to buy back the 80 percent of YES that it doesn’t directly own, and it’s doing that by cobbling together a consortium of investors that include Amazon, according to people with direct knowledge of the matter. As of now it’s unclear what member of the consortium would hold a majority stake, these people say. The partnership of the Yankees and Amazon could allow Amazon to stream Yankees games on its Amazon Prime subscription service, but initial press reports cited Amazon as a first-round bidder on all the RSNs as well as YES — signifying a major new corporate strategy for the online retail giant as it seeks to develop more sports programming (Amazon already streams Thursday Night Football). But people with direct knowledge of the process say Amazon is only weighing a larger bid for the other RSNs that may come as the second round progresses while it is actively negotiating with the Yankees. One reason that Amazon may scale back its ambitions is that its CEO Jeff Bezos may want proceed cautiously in a business that he’s relatively new at, according to a person with knowledge of the matter. Beyond that, this auction apparently didn’t start well overall, with some bidders believing the purchase of these networks would include teams’ digital rights beyond in-market streaming deals (they do not; MLB holds digital rights and uses them for out-of-market services like MLB.tv, plus sublets them to RSNs for in-market streaming with cable authentication in cases where those deals apply). But the auction got off to a rocky start, various participants told FOX Business. As the bids came into Disney’s bankers, several interested parties were under the impression that with the purchase of the RSN came full ownership of digital rights to MLB games. MLB Commissioner Rob Manfred then took the unusual step of inserting himself in the multi-billion-dollar auction process, telling bankers in charge that they need to alert potential buyers that any purchase of these entities doesn’t include digital rights to baseball games that remain the property of the leagues and its teams — a move that could lower the price of the networks as the auction process proceeds, according to four people with direct knowledge of the matter. How some of the bidders came to believe they would own, rather than lease from the league and the teams those rights and baseball’s response has not been reported. The reason for the confusion is unclear. Bankers didn’t “drill down” on the exact nature of the digital rights in conversations with potential buyers in the first round of the bidding process but planned to do so later, said one person with direct knowledge of the matter. That’s maybe another issue with three out of the six (five if Amazon isn’t actually bidding) bids in so far being from private equity funds, and the other two being from companies (Sinclair and Tegna) that own local broadcast stations. This isn’t a case of selling regional sports networks to companies like Comcast or Charter that already operate them; it’s selling them to companies that aren’t currently in the RSN space, and that requires perhaps more explanation of what RSNs actually do control. And on the digital side, their control is pretty limited, especially with the in-market streaming deals expired. The RSNs have obvious value on the TV side and may have digital value as well (especially when it comes to in-market streaming, if they’re able to strike new deals), but they don’t control the full digital rights to the teams they broadcast. If MLB does decide to bid for these RSNs themselves at some point and is successful, though, that would mean that the out-of-market (MLB.tv) and in-market (RSN) streaming rights would be under the same roof, and that might allow them to offer compelling over-the-top packages to in-market cord-cutters (something that doesn’t currently exist; cord-cutters who want to watch their local team would currently have to buy a streaming skinny bundle that includes the local RSN). But the larger takeaway here is perhaps more than these specifics; it’s that there’s still so much that’s uncertain about this auction. As per this Fox piece, some of the bidders didn’t even known exactly what they were getting. And whether that’s on the bankers for not properly describing it or on the bidders for not fully understanding it, that’s not great. It’s not something with long-standing impacts, as the bankers said first-round bids were non-binding (and there’s still a whole lot of expectation of companies that weren’t fully in in the first round potentially coming in, from Fox to Amazon to maybe even MLB), but it illustrates just how murky this process is. And with months left before an actual decision on who gets these will be made, expect the situation to only get more muddled.